If a traditional remedy doesn't actually kill bacteria, it's probably just an old wives' tale — right? Not so fast, says Cassandra Quave, an ethnobotanist at Emory University. Quave focuses on investigating traditional remedies used by people in Southern Italy and other areas of the Mediterranean. And some of her research may be paying off in a big way. Quave explains, "I felt strongly that people who dismissed traditional healing plants as medicine because the plants don't kill a pathogen were not asking the right questions. What if these plants play some other role in fighting a disease?" One of the plants that piqued her interest was the European chestnut tree, the leaves of which are often featured in traditional folk remedies. In particular, healers would make tea out of the leaves. They wouldn't drink it — they would bathe infected or inflamed skin with it. One of the most dangerous modern skin infections is MRSA, a drug-resistant form of a staph bacteria. Antibiotic-resistant bacteria like MRSA affect at least two million people and cause 23,000 deaths in the U.S. every year. Could the traditional chestnut-leaf tea help conquer this dangerous problem? Quave decided to find out. She soon found that no, chestnut leaf extract did not kill staph bacteria. However, that didn't mean it was worthless. After all, killing your enemy isn't the only way to keep him from harming you. You can also disarm him. And it turns out, that's exactly what chestnut leaves do to staph infections. Quave explains, "Rather than killing staph, this botanical extract works by taking away staph's weapons, essentially shutting off the ability of the bacteria to create toxins that cause tissue damage. In other words, it takes the teeth out of the bacteria's bite." And it doesn't just work for average staph infections. It also disarms MRSA. The extract doesn't harm the healthy bacteria on your skin. It only targets the dangerous types. And it seems to do it in such a way that the bacteria aren't responding by becoming resistant. That's even better news. After all, antibiotics were a great treatment for staph — until staph outsmarted them. The extract works by cutting off the bacteria's communication channels, disrupting a process called quorum sensing. MRSA uses quorum sensing to produce toxins and become more aggressive. But when the extract interrupts the channel, MRSA stops making toxins. 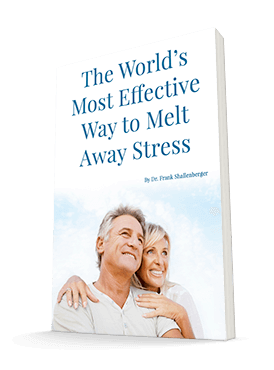 This is leaps and bounds better than what pharmaceutical companies have been trying to accomplish, which is to find drugs that can counter each type of toxin. What the extract does is keep the toxins from ever being produced in the first place. So far, the research team has tested the extract on mice. They found that it took only one 50 microgram dose to get rid of MRSA skin lesions. It also protected the mice's tissues and red blood cells. They also tried exposing MRSA to the extract for two weeks to see if the bacteria would figure out how to adapt. And they didn't — the extract remained just as effective. Tests on human skin cells have so far shown the extract to be safe to the cells. The next step will be to figure out the most effective combination of ingredients and submit the compound to the FDA. The extract could be used for everything from spraying down athletic equipment to coating medical devices to providing treatment if people do contract an infection. I'm very excited about any treatment that will help us reduce our dependence on antibiotics. 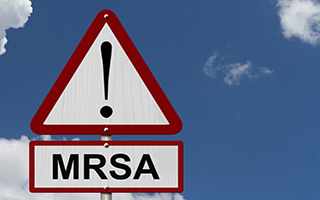 Overuse of antibiotics is becoming a big problem, and MRSA is one of many consequences. I hope this treatment is the first of many natural options like it. While you can buy chestnut extract online and at most health food stores, this extract is made from the seeds. This study was done using the leaf of the chestnut tree. It's not the same extract and won't have the same effect. Unfortunately, chestnut leaf extract is not yet available. But hopefully it will be soon.